Still exhausted — even after eight hours? Doctors explain why. What happens when those eight hours don’t take? Doctors explain. We’ve all been there. A solid night’s sleep, and yet you wake up exhausted. “There are a number of medical reasons why one might feel tired even if with enough sleep,” Dr. Chirag Shah, a physician and founder of Access Labs, told Fatherly. From hormones to bananas, Shah and other experts share why those eight hours may not feel like they stuck. “Getting testosterone levels checked can be a good first step towards finding a cause for low energy during the day,” Shah recommends. Men’s testosterone levels naturally decline with age, and fatherhood may cause low testosterone, too. Simple lifestyle changes, such as increasing exercise and investing in a healthy diet can stop men stave off low-T fatigue. “Exposure to light stimulates the brain and body, causing us to be more awake and alert,” registered nurse Rebecca Lee, explains. Employees cooped up in a poorly lit office may feel tired regardless of how they slept the night before. So if you’re exhausted, try taking it outside—the natural light could be the boost you need. Even if that does not help, research shows that screaming can boost energy and adrenaline. It’s much more socially acceptable to scream yourself awake outdoors. “Individuals with sleep apnea often sleep enough hours at night, but snore loudly, wake often, and also wake others with their snoring,” family physician Crystal Bowe says. People with sleep apnea may sleep eight full hours, but because that sleep is constantly interrupted they don’t reap the same restful benefits from it. Sleep apnea can also cause blood pressure to increase, adding to tiredness overall. And since men have larger larynxes, their airways close more often while lying down. These tired guys may be getting more quantity than quality sleep, as a result. The thyroid, a little butterfly-shaped gland in the neck that regulates metabolism and digestion, can cause plenty of problems if it’s not working properly — the other butterfly effect. Underactive thyroids, or hypothyroidism, results in exhaustion as well as constipation, dry skin, and hair loss. “When underactive, the thyroid cannot properly perform its role in keep our body’s processes running at full speed,” Shah says. While testosterone and sleep apnea appear to affect men disproportionately, hypothyroidism occurs most often in women. That could be why your wife is so tired. “A sedentary lifestyle may be the biggest cause of tiredness,” Lee says, because a lack of exercise deconditions the body’s musculoskeletal and cardiovascular system. Conversely, exercise increases energy and decreases the likelihood of becoming tired for no reason, studies show, because what good is being hotter and healthier if you’re too tired to enjoy it. It only takes about 1.5 percent drop water volume in the body to cause dehydration, Lee notes, so many people walk around dehydrated all day without realizing it. Dehydration makes people feel tired by causing muscle soreness, which increases fatigue and recovery time. On top of that, when you don’t have enough water, your body has to work harder. “When your body is dehydrated, your overall blood volume decreases, making your body work harder to send oxygen and nutrients throughout the body,” Lee says. Coffee is a cruel mistress and as much as people drink it to wake up, it can have reverse effects. 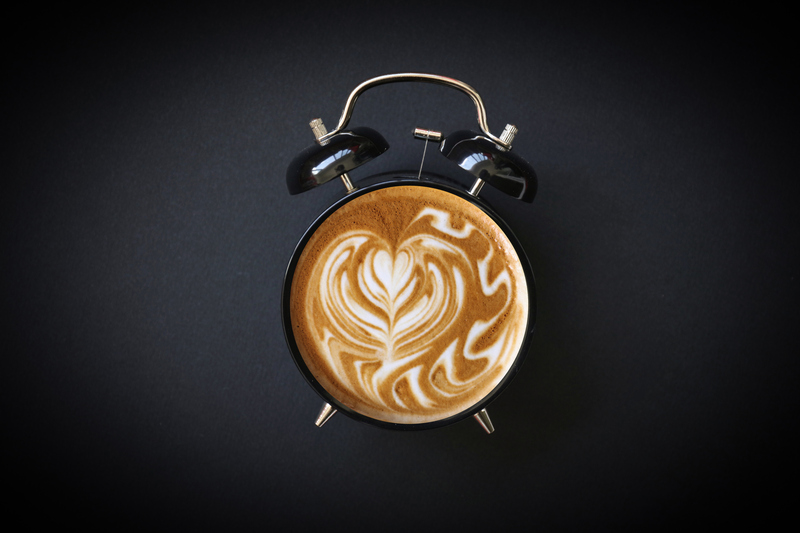 Even when caffeine doesn’t hinder sleep, it blocks the brain’s adenosine receptors from receiving a crucial chemical that helps humans regulate sleep and awake cycles. When left alone, adenosine levels rise while awake and fall when it’s time to sleep, but caffeine can trip this up. “Your body is still producing adenosine but the effects of it are delayed, causing you to feel it all at once, after the rush of caffeine wears off,” Lee says. Diet can have an impact on energy regardless of rest, and processed foods and even certain fruits cant take their toll. Simple carbohydrates cause blood sugar to rise and fall, depleting energy, while bananas are full of magnesium, a mineral that can help with sleep. Likewise, cherries are loaded with melatonin, so lay off those cherry and banana pancakes — but make sure to eat. A lack of iron, vitamin D, and other nutrients can make it harder to stay awake, too. “I had a client who was falling asleep in the middle of the day because she was on one of the latest trend diets and the body just wasn’t getting enough fuel,” dietician Shelley Rael warns. In an ideal night without newborns around includes fives 90-minute cycles of sleep, about seven-and-a-half hours, Lee recommends. More than that can bewilder the body. “When you sleep too long, your biological clock is thrown off and the cells are not communicating to the body that it’s time to get up,” she says. Still, for most parents the idea of being tired because they got too much sleep seems like an urban legend — or at the very least, a risk they’re willing to take.